The Ford Focus is one of the best sedans sold today for a starting price under $30,000 USD. The entry-level price point of the Focus is just $18,100, and the practical sedan is built on a European-developed auto chassis. 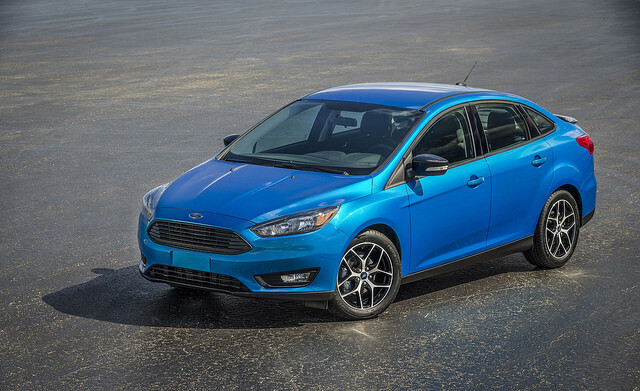 The standard engine in the Focus is a 2.0 liter V-4 rated at 160 horsepower. For those looking to be more energy efficient, Ford also offers a 1.0 liter turbo-three rated at 123 horsepower with an auto start-stop feature. The car comes standard with a five-speed manual transmission, and consumers can choose to upgrade to a six-speed dual-clutch automatic when buying the car new. The vehicle has a top overall speed of 121 MPH, and can go from zero to 60 MPH in 7.9 seconds. The overall gas mileage rating of the Focus is 26 MPG (city) and 36 MPG (highway).